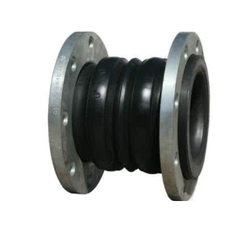 We can provide all kinds of Rubber bellows as per requirements. We are an all consultant approved brand and have an extensive list of clientile. We have been servicing the HVAC and process industry since the past 25 years. 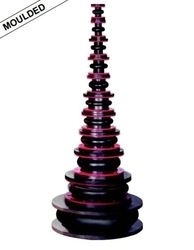 Rubber Expansion Bellows are mostly custom built as per customer specification with all external influences such as dirt, dust, swarf, oil, grease, abrasives and weld splatters etc. Our range of rubber expansion bellows has exceptional stability & long life. We are offering a wide range of Single Arch Rubber Bellows with Fixed Flanges. Our range of Double Arch Rubber Expansion Bellows are constructed with Elastomer neoprene. These can be May be replaced with ANSI, BS, JIS and DIN standard ( drillings ). 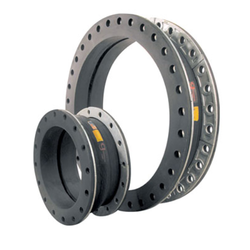 Moulded Design for better quality upto size 10" NB"
Rubber Bellow are mostly custom built as per customer specification with all external influences such as dirt, dust, swarf, oil, grease, abrasives and weld splatters etc. 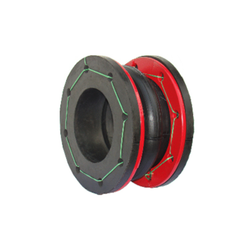 Our range of rubber expansion bellows has exceptional stability & long life.